New paper! We hypothesize that rapid growth of entanglement entropy between modes in the central region and other scattering degrees of freedom is responsible for fast thermalization in heavy ion collisions. Let A be subsystem of a larger system A∪B, and ψ be a typical state from the subspace of the Hilbert space H_AB satisfying an energy constraint. Then ρ_A(ψ)=Tr_B |ψ⟩⟨ψ| is nearly thermal. 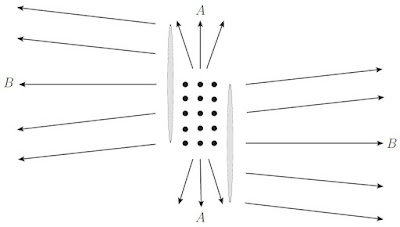 We discuss how this observation is related to fast thermalization of the central region (≈A) in heavy ion collisions, where B represents other degrees of freedom (soft modes, hard jets, collinear particles) outside of A. Entanglement between the modes in A and B plays a central role; the entanglement entropy S_A increases rapidly in the collision. In gauge-gravity duality, S_A is related to the area of extremal surfaces in the bulk, which can be studied using gravitational duals. An earlier blog post Ulam on physical intuition and visualization mentioned the difference between intuition for familiar semiclassical (incoherent) particle phenomena, versus for intrinsically quantum mechanical (coherent) phenomena such as the spread of entanglement and its relation to thermalization. [Ulam:] ... Most of the physics at Los Alamos could be reduced to the study of assemblies of particles interacting with each other, hitting each other, scattering, sometimes giving rise to new particles. Strangely enough, the actual working problems did not involve much of the mathematical apparatus of quantum theory although it lay at the base of the phenomena, but rather dynamics of a more classical kind—kinematics, statistical mechanics, large-scale motion problems, hydrodynamics, behavior of radiation, and the like. In fact, compared to quantum theory the project work was like applied mathematics as compared with abstract mathematics. If one is good at solving differential equations or using asymptotic series, one need not necessarily know the foundations of function space language. It is needed for a more fundamental understanding, of course. In the same way, quantum theory is necessary in many instances to explain the data and to explain the values of cross sections. But it was not crucial, once one understood the ideas and then the facts of events involving neutrons reacting with other nuclei. Very cool. But how exactly does it tie in with the holographic explanation in terms of rapid formation of a black hole in the bulk? We are focused on the gauge-side explanation for how the thermalization can be so fast. 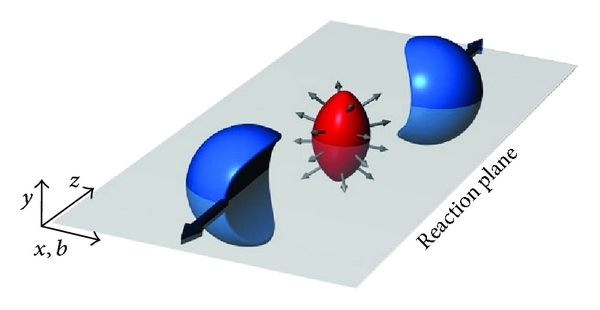 We believe we have identified the mechanism, which connects to work on entanglement and thermalization (coming from quantum information theory and foundations of quantum stat mech). The evolution of a quantum pure state to "typicality" can be surprisingly fast when considered in the full Hilbert space. 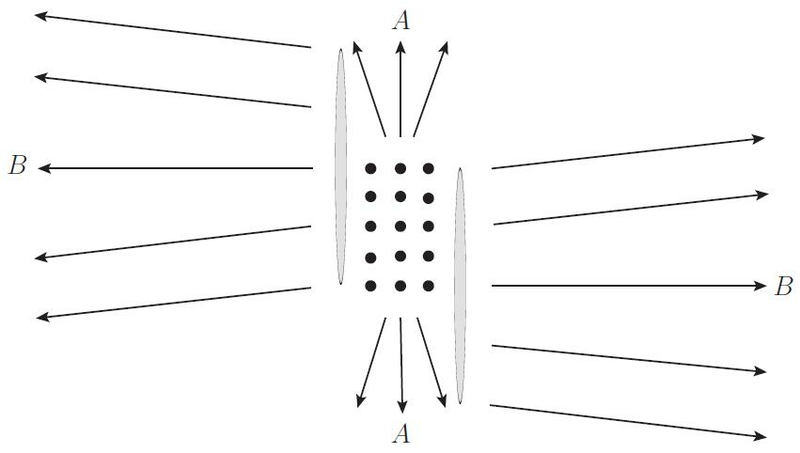 The usual kinetic theory picture of approach to thermal equilibrium assumes incoherent scattering of individual particles, and requires more time. The connection to holography is through the Ryu-Takayanagi observation that the entanglement entropy of a boundary state (in this case the HIC state) is related to the area of extremal surfaces in the bulk which terminate on the border separating the boundary state into disjoint regions (one of which is traced over to obtain the entanglement entropy S_A; in our case this border separates the central region A of the collision from the rest of it, B). When a black hole is formed it forces a jump in the area of the extremal surface and through R-T this is directly related to a jump in S_A. Thus our physical observation that there is a rapid jump in S_A due to coherent scattering of the complex nuclei is directly related to rapid horizon formation in gravity. People who believe strongly in gauge-gravity duality should have asked already what, exactly, is the entanglement entropy relevant to the heavy ion case? The gravity side predicts a jump in this quantity in the collision, but what is it? (In some cases of thermalization or quenches of condensed matter systems or conformal field theories S_A is known explicitly, but not in HIC.) One could just say that we have clarified this question and explained the mechanism for the rapid growth of S_A. If you can really firm up the connection with Ryu-Tagayanagi then this is very important. Congrats.